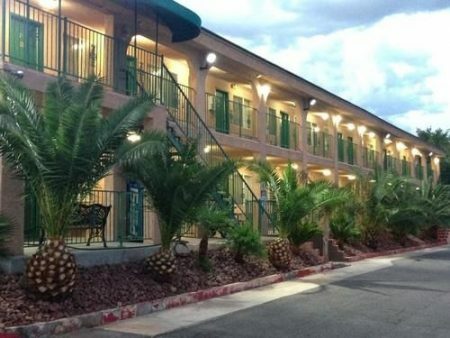 The Crown Motel, 2855 East Fremont Street is functional Vegas accommodation, providing a cost-effective solution in a good location. 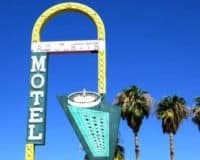 The Crown Motel is a budget Vegas option, which provides precisely what you would expect: good value for money, a clean building, and friendly staff. Its other advantage is its location, Downtown in the famous Fremont area, known for its wide array of quality restaurants and other entertainment options. 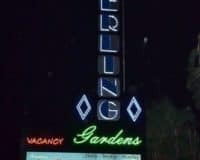 The motel is spartan in terms of amenities, however, it still offers a twenty-four-hour reception, WIFI that is accessible throughout the building, free parking for those who have their own vehicle and a daily housekeeping service. Thus, of course, there are far more luxurious options in the Vegas area, but it does precisely what it is meant to do, providing comfort and cost-effectiveness. The rooms are well equipped, providing microwaves and refrigerators, so you don’t have to eat out every single evening, along with a private bathroom in every room, air-conditioning, access to WIFI and modern televisions equipped with cable. This is obviously combined with comfortable beds, meaning that you and your family will feel totally at home during your stay. 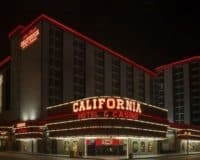 The Crown Motel is functional Vegas accommodation, providing a cost-effective solution in a good location, thus as long as you go into it knowing what you want, it is the kind of budget motel that you may fall in love with.